Research Shows that Bed Bugs Can now Transmit Diseases Like Chagas Disease. Bed bugs are a nuisance. Not only do they travel and infiltrate multiple environments to feed on human blood, they are also a harbor for human disease-causing pathogens. How these pathogens have been passed to humans has been a cause for study with recent results showing evidence that bed bug feces is a possible way diseases are transmitted. A report published in the Journal of Medical Entomology by researchers from New Mexico State University detailed their findings concerning disease transmission. Their investigation focused on the ability of bed bugs to carry Trypanosoma cruzi, which causes Chagas disease. They conducted experiments that involved feeding bed bugs blood infected with T. cruzi. Results showed the disease pathogen settled in the bugs gut and survived in nymphs even after the bugs molted. Along with nymphs being hosts to the pathogen, it was also determined adult males that were fed infected blood could host the pathogen for up to 97 days. 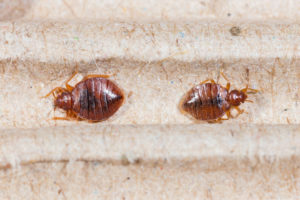 Additional studies at the University of Pennsylvania School of Medicine showed that bed bugs were capable of transmitting the infection to mice. NJ pest control services available through Stern Environmental include an inspection of your home for bed bugs. With a plan in place, NJ pest control technicians use the latest techniques and innovations to eliminate these bugs. Call our office today to set up an appointment for a bed bug free home environment.